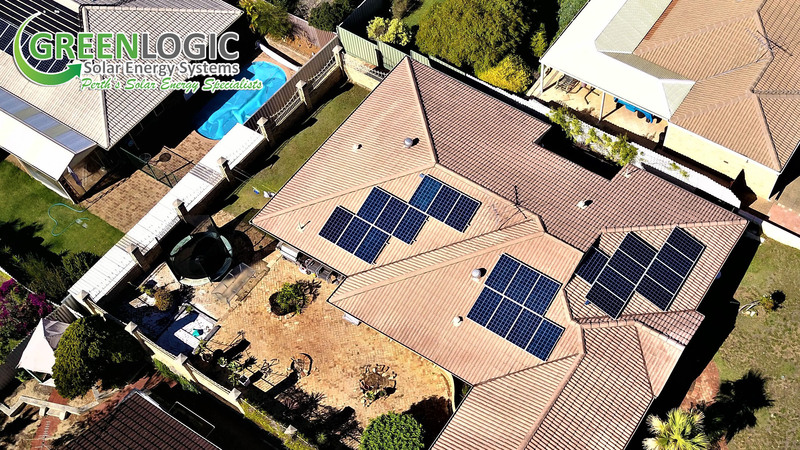 Green Logic specialises in the installation, service and repair of Solar Hot Water and Solar Electricity Systems. They take a consultative approach to your investment, giving you options to suit your desired outcome and budget. 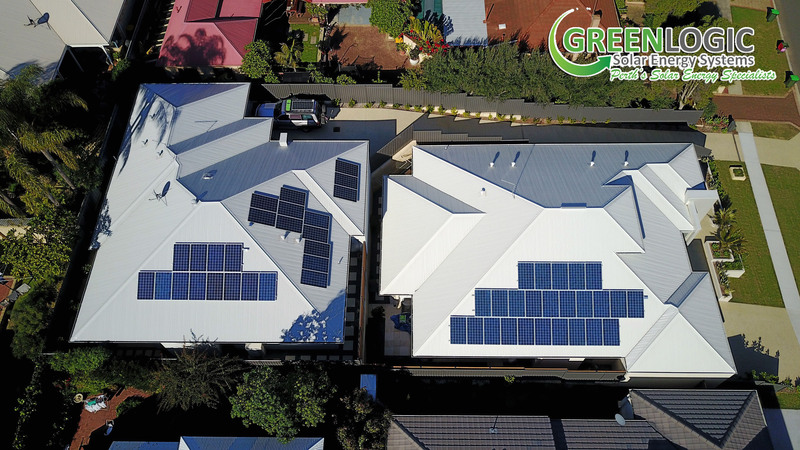 Green Logic has a long history of successful trading in a forever changing industry, the products and solutions that are recommended are based on years of experience in the industry. If you are looking for good advice and great value from a long standing company that delivers excellent service with a quality product, then Green Logic comes highly recommended. Plumber meant to come to assess pre existing solar water system and did not arrive. Plumber suggested total overhaul of working system at $4000 (despite not seeing the system) to a heat pump !!!!! GreenLogic man Mark said that if the plumber had written the report then I had to have a heat pump. I replied that no plumber had arrived. Mark did not set up the connection so I could check whether the Fronius system was working and despite Mark telling me about his "
We are dissapointed that you feel you didn't have a positive experience with Green Logic. We would like to clarify some points that you have made in your review with regards to our company and staff. 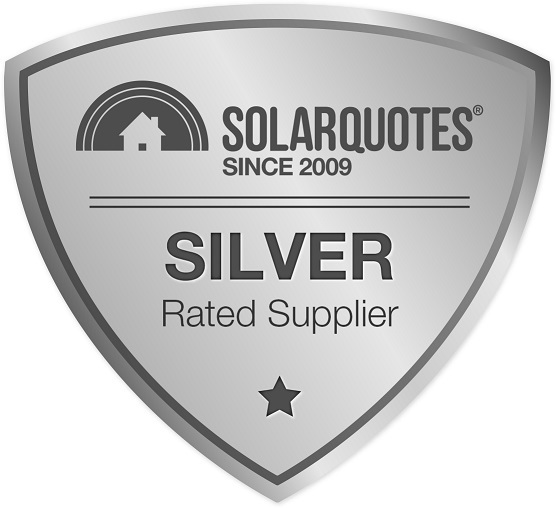 The solar hot water system was inspected by a contract plumber at no cost to you. We advised you that the PCB and circulation pump were both faulty and the cost of repair would not be advisable due to the age of your system and cost of replacement parts. We recommended a heat pump as a replacement for the price of $3000-$3500 (not $4000). 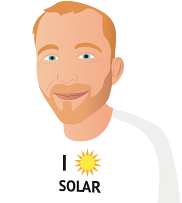 With your solar wifi setup our sales manager Mark in his own time attended your property at your request. When he attended you were unable to provide the wifi password or access to the security on your network to establish the setup process. Mark advised you we were unable to help further until this information was provided. We were not made aware of any dissatisfaction with the quality of the installation prior to your review. It is very uncharacteristic of our install team to leave any mess behind or damage property without making you aware. We are happy to rectify any issues you may have, please feel free to contact our office directly. From woe to go, that is from Mark's first visit, to completion we found the process brilliant. We recommended the company to friends who have installed a system. A relative of my daughter has installed another system so you can see that we are more than happy about the professionalism with which we regard the company. The system is working well and saving us a packet, especially with the addition of the Midea heat pump. Well done guys, I also noticed your web site was now looking very user friendly and more informative. I chose Green logic because I thought they had the best quality system, even though they were the dearest of the 3 quotes I had. 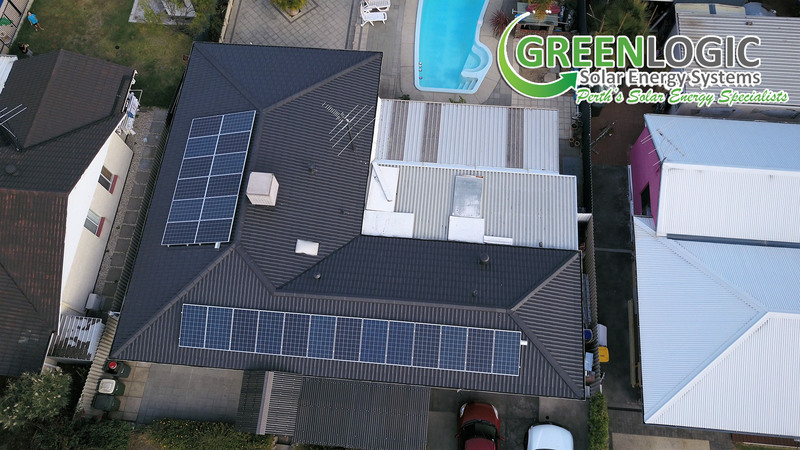 My solar install was professionally done and I am very happy with the product and service provided (6.5kw system + 170l heat pump). 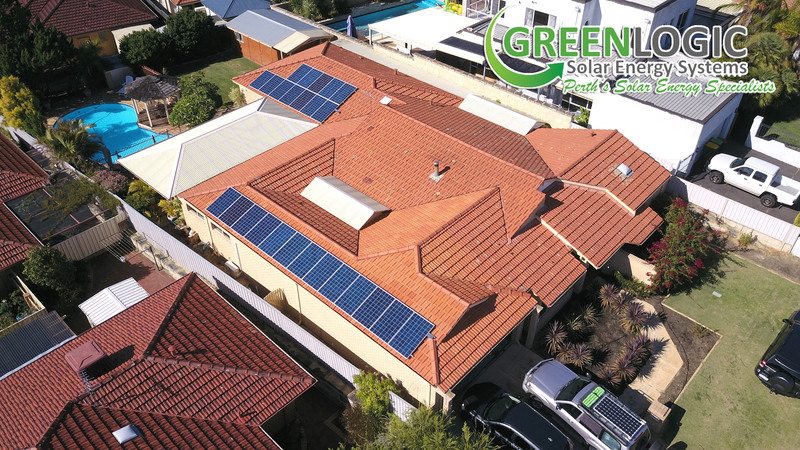 I would recommend Green Logic to anyone looking for great service and a high quality install. Big thanks to Greg for making the whole process very easy and hassle free. Thank you Mark and Greg for your efficiency, honesty and speedy response to all my queries. Very pleasant manner and nothing too much trouble fantastic after sales help. I couldn't set up wifi and Mark didn't waste any time in coming around and fixing for me. Really professional outfit. Friendly, fast and delivered a quality product at a great price. Always available to answer any queries too. Whilst i didn't go with one of the recommended installers, I did use your site to research other companies and went with Green Logic based on reviews found here/whirlpool. Thank you for the 3 recommendations. We've been wanting to put in a solar panel system for a number of years but didn't know the "A level" players. You took out a whole step in our selection process. 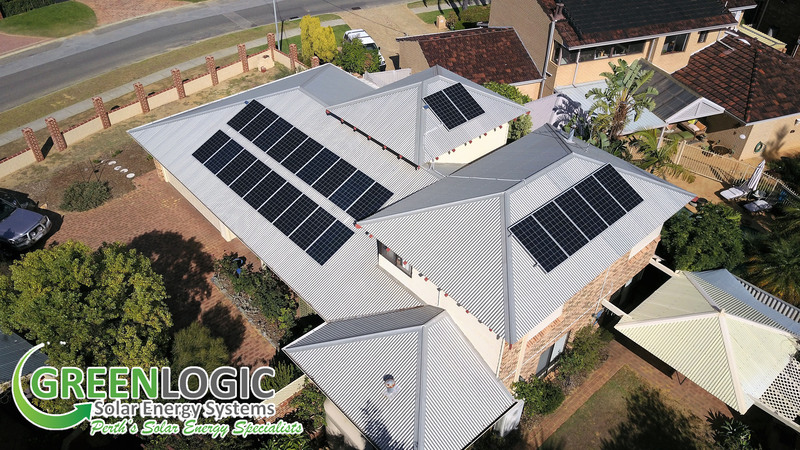 Greenlogic even recommended a solar heat pump system that will make our home even more efficient. Nothing in particular. I am very happy with the installation and have a nice green feeling when I turn on the air conditioner or some other energy hungry appliance. Two potential suppliers visited my house. The third felt is was not a practical investment for me, and they may be right but I wished to install the system for the green aspect. One supplier proposed a solution which was a little more expensive and had some electronics installed on each panel. I do not really like to have multiple electronic devices installed in the heat and weather conditions on the roof. The third supplier proposed a system with some extra solar panels to compensate for winter months and some shading. I felt this was the best solution and I purchased this option. Green Logic were superb from start to finish. Greg has such indepth knowledge about all things solar that we knew we were in good hands early on in the process. Every step of the process was outlined and all timelines were met. We decided to also install a heat pump to replace our gas water system which was connected on the same day as the solar panels. We are absolutely thrilled with how everything went. The installation team were amazing, two loxely guys(Ryan and James) who worked tirelessly until everything was perfect. I can highly recommend Green Logic, particularly for anyone new to the concept of green energy. We delayed installation so we could have our roof painted prior, which dragged out 5 months with wet weather, Mark and Greg stuck to the quoted price even though there was a rebate drop over the period. When the system was installed, I couldn't get the WiFi to work for the monitoring to my phone and computer. 2 days later Mark dropped in and sorted it out for me in a couple of minutes with no charge. This act alone supported our decision to go with Green Logic. Two years previously I had a quote for a solar system but had no confidence in the sales guy, nor his products so never proceeded. Finn, I stumbled upon your ad on the BOM site checking the weather forecast and signed up. I then read a lot of material on your site that gave me a basic yet sound foundation to give me confidence to proceed. All three companies that quoted were sound and the top two were split by a hair. I have been promoting your website and Green Logic to friends and family as I appreciate good service when it is displayed. Lets face it, its a bit rare these days!! I found Mark at Green Logic very patient and helpful with my ignorance on Solar systems. I appreciated his honesty and lack of pushy sales style. His sales pitch was based on matter of fact experience and knowledge of products in the market at the time and real desire for us to buy the system we needed, not to merely make a sale. It wasn't the best price but I relied on instinct that if there was a problem in the future, I would have support. It all started with an unsolicited salesman at our door... We had almost signed up for a very dodgy and expensive deal for solar panels, when we started to have doubts, searched the internet, and came across Finn Peacock's website. The three companies recommended by your website were much more trustworthy and enlightening. We really appreciate that. In particular Mark Hall from Green Logic also gave us valuable, independent advice about our consumer rights, which saved us from falling prey to the dodgy sales tactics. 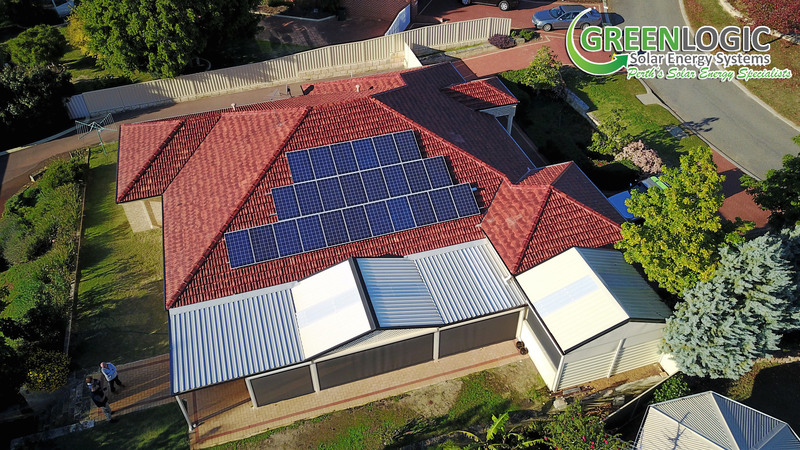 Ultimately we went with Green Logic because we trusted Mark, we judged that his proposed system was the most appropriate for us, and we also judged that after-sales service/repairs would be most reliable with Green Logic. As a newbie to solar I was a bit nave about what I wanted to achieve. Green Logic steered me away from unrealistic aspirations to a what is probably going to be the system which save me the most. 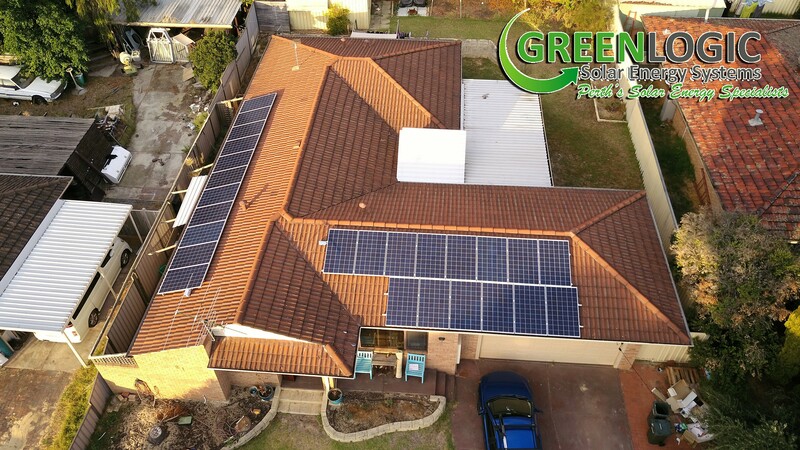 Solar greens price was competitive and I felt they were a quality company and did a very good job on installation and service. Communicative and knowledgeable sales team. The installers were efficient, informative, respectful and thoroughly cleaned up after themselves. 3 quotes received via this website were from small organisations, so we also obtained another quote from CEC approved retailer. All 4 quotes were very competitive and 3 sales reps were knowledgeable and convincing. We could have gone with any of 3 companies but we chose Green Logic as they were able to supply heat pump hot water system to compliment our energy saving strategy. Installation was organised promptly and efficiently. 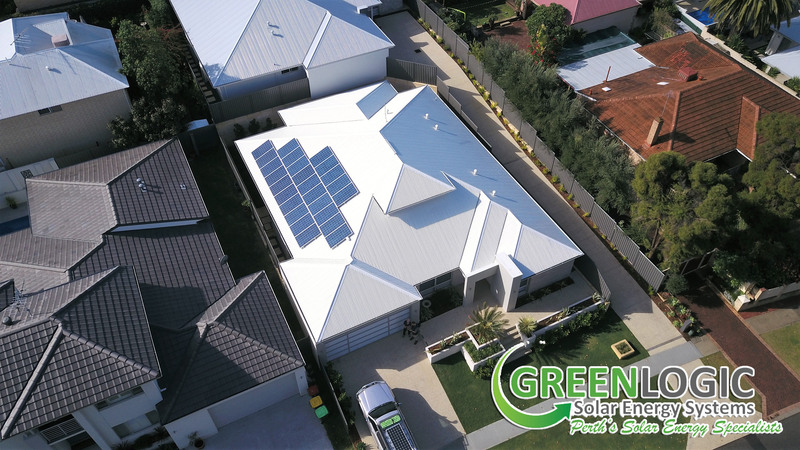 The guys at Green Logic were fantastic, great advice and great service, they were on time and on budget. Very happy with my installation. Installation is neat, no broken tiles. All wiring run inside the cavity wall, no external conduits. Installers were prompt, friendly and efficient with minimal fuss. Sales were completely open about all my available options and answered all my questions honestly without bias. I would recommend GreenLogic to everyone and anyone. I WAS VERY SCEPTICAL OF SOLAR COMPANIES AFTER THE FIRST EXPERIENCE, WORSE THAN USED CARAVAN SALESMEN. I LITERALLY HAD TO THROW THIS MAN OUT OF MY HOUSE. WE ARE OLDER CITIZENS AND FOUND THE STAND OVER TACTICS LESS THAN ETHICAL. THE OTHERS I FOUND PROFESSIONAL SOME WITH BETTER PRESENTATIONS BUT I FOUND THEY TREATED MY IGNORANCE WITH DIGNITY AND EXPLAINED THINGS IN A EASY TO UNDERSTAND FORMAT. Hi Julie, thanks for the review and glad we could be of service to you. Taking our advice by over engineering your system replacing your gas storage hot water with our energy efficient heat pump is a wise investment. You will see the benefits long into the future. I went with Mark because he was honest from the beginning. Mark spends the time to educate the client about solar. The price is the same as the other strong competitors. The only thing I'm disappointed about is that there is not a built in smart meter in the Fronius Symo - you would think that with the inverter's technology this would be available! Thanks for the review Joe, happy talk about installing a smart meter for you, so you can monitor your load. It would be great if the inverters came with that feature built in but unfortunately it is a retrofit. Having your service made it easy to get quotes. The 3 companies contacted me in a timely manner. Green logic gave me the most time, honesty and were open. Customer service was above expectation and the communication was excellent. The installation team were great too. Only one quote received, however it seemed OK and the sales representative was familiar with our existing system, having worked for the company who installed the 1.5 kW system some years ago. The installation went reasonably well, except the wrong inverter was installed and they had to return and change it. Overall, I was reasonably happy with the outcome, although I won't see how worthwhile it is until I get the next Synergy bill and compare it with previous bills. Mark and his team provided excellent service. Answered all my questions and was very patient with me. His knowledge is great, this saved me a packet. When i was worried about something he was able to reassure me and go out of his way to help. Communication was great. The guys were prompt and polite. Form the moment that we met Mark Hall it was quite obvious to us that he knew the solar scene. He had made choices in the early days and found out the hard way that cheaper prices were not what mattered. The right products combined with great product knowledge and service were what people wanted. That is what Green Logic now delivers. We were happy with the entire process and although we have not yet received a power bill, we are sure that it will be minimal. We have a bank of 15 ET panels running on a Fronius 3 kw inverter. Install was just over five weeks ago and we could not be happier. I will update when the bill comes in to substantiate initial observations. We also had a heat pump fitted to further reduce on our power bills. Well done Green Logic. It's really too early to make a judgement, but things seem very good so far. Have ordered the system but waiting on meter change etc before installation can happen. Thanks for the great review Elardus. It would be great to hear what results your getting from the solar.